There’s been no shortage of commentary in recent days about the at times cozy relationship between Morning Joe host Joe Scarborough and Republican presidential frontrunner Donald Trump. 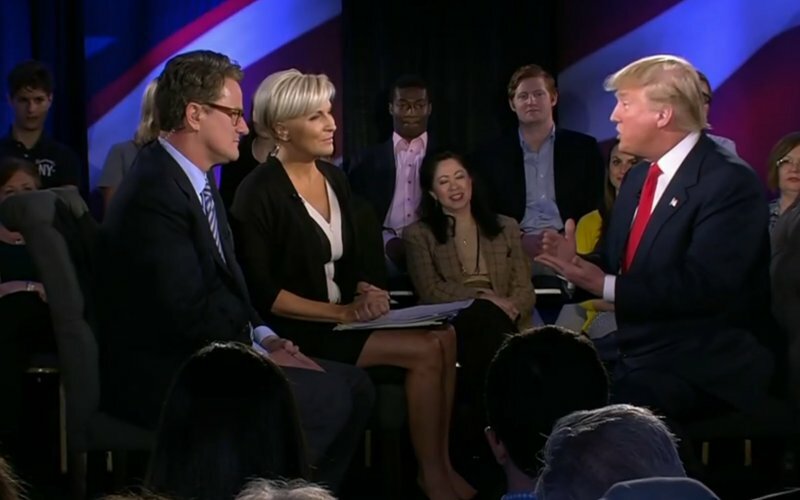 Wednesday night, Scarborough and his morning co-host Mika Brzezinski moderated a town hall meeting with Trump, part of a series of candidate conversations set to air on MSNBC. Only this one, however, was colored by the reports of discomfort at the network over the extent of Scarborough’s relationship with Trump. “No doubt conscious of public scrutiny of their alleged coziness with Trump—especially from media reporters at rival CNN—Scarborough and Brzezinski opened the show by telling Trump what a lousy job he did in last Saturday’s mudslinging CBS debate,” writes The Daily Beast’s Lloyd Grove. The candidate, however, was hardly rattled by any of the questions. “It was well nigh impossible to knock Trump off his talking points,” said Grove.